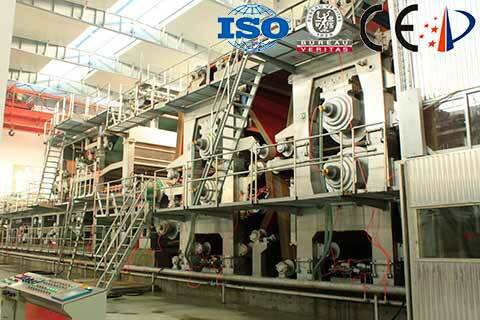 Cardboard Paper making Machinery is mainly used for making testliner cardboard paper, corrugated body paper, etc. Double Wire Cardboard Paper Machine mainly includes headbox, fourdrinier section, press section, drying section, calendering section, reeling section, etc. ★Double Wire Cardboard Paper Machine Press Section can improve the surface properties of wet paper sheets: Reduce web marks, reduce the difference between two sides, and improve smoothness. Leizhan provides various kinds of paper making and pulp equipment. Welcome to contact us for more details.